Throughout all the strife after the fall of the Roman Empire, one entity continued to gain strength throughout the lands, the Christian Church. Adopted by the Byzantine Empire as the predominately belief system, Constantine and emperors ruled the church and the people. This was much to the dismay of church leaders, who during the time of the Romans established their own hierarchy. This conflict between church and state will be the beginning of the division of Christendom. In the year 1051 CE the church separates into the Eastern Orthodox and Western Roman Catholic, an event known as the Great Schism. Reasons include differences in culture, power of church leadership, and basic religious beliefs. The Roman Catholic church will focus on the pope as the primary authority over the church, the celibacy of clergy, the use of unleavened bread for Eucharist, and the belief that Jesus is of God and therefore equal. One of the most important political figures of the early Middle Ages was Charlemagne, a Frank, who ruled an increasingly large empire between 768 and 814 CE, which included today’s France, Belgium, Holland, Switzerland, and some of Germany and Italy. 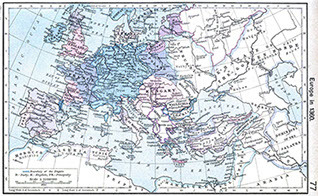 After Charlemagne’s death, the empire was divided into different territories that would define the political landscape of the later Middle Ages. Click the map below to enlarge. The Late Middle Ages witnesses the birth of monarchies in Europe that will eventually lead to the creation of nation states. Two of the most powerful monarchies of the Late Middle Ages are England and France. The power of the English throne expanded during the Middle Ages. In England, William the Conqueror comes into power in 1066 after a time of disagreement over hereditary rights. William the Conqueror’s ability to maintain an effective tax system and implement a practice of making decisions using the opinions of the people of his kingdom, created a strong monarchy. Following William, Henry II ruled England in a more autocratic manner and as a result he faced resistance. The English monarchs continued to seek power at the expense of its people, as Henry II’s successors over taxed the people and led them to establish the Magna Carta, the “Great Charter” that outlines rights and liberties of the English people. During the beginning of the Capetian dynasty in France (987-1328 CE), the country faced a lack of unity and a strong central government. 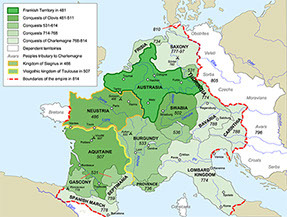 The kings of the dynasty unified and solidified their rule, creating the foundations of the later nation state of France. For example, during the reign of Louis IX, which lasted from 1226 to 1270 CE, France flourished; he promoted internal peace, an effective tax system, justice, and culture. As England and France saw progress and stability, the Hohenstaufen Empire and the Holy Roman Empire experienced hardships. 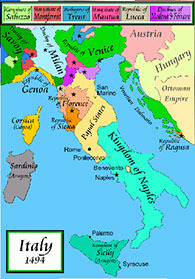 The Holy Roman Empire encompassed both Germany and Italy, ruled by the Hohenstaufen family. 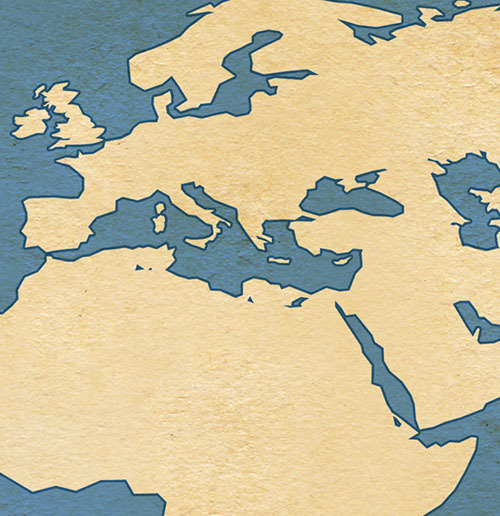 Internal conflict between the rulers of these countries and the popes led to civil war. 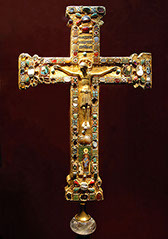 The church became increasingly more powerful and the Hohenstaufen Empire disintegrated. As monarchies grew, political disagreements also grew. Conflicts arose between countries over land and money. The Hundred Years’ War was the effect of the disagreements between England and France and had lasting social, political, and economic effects on both countries. 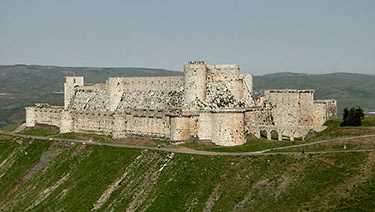 The Crusades was a means to show support for the Pope and in fact was arranged by the papacy. It is believed that Pope Urban II pushed for the First Crusades in 1095 as a means to establish unity and peace between aristocracies by sending young men to fight for a common cause instead of internal feuds with each other. 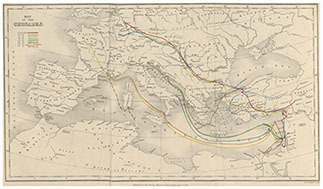 Subsequent Crusades focused on spreading Christendom and reducing Jewish and Islamic influence. The Crusades were not solely about religion, unity, and peace; greed and power also fueled Crusaders. The Renaissance symbolizes Europe’s transition from the Medieval Ages to the modern world and began in the city-states of Italy. It was a rebirth of ancient learnings and values, focused Latin and Greek classics and early Church fathers. Scholars embraced a liberal arts education which included literature, history, philosophy, and politics. Francesco Petrarch is known as the father of humanism, as he embraced the ancient ideas of Rome in his writing. The painting and sculptures of this time period truly display the beliefs circling the Renaissance. It depicted the truest, most natural form of humans and peoples. Artists such as Leonardo di Vinci and Michelangelo Buonarroti embodied the ideals of the Renaissance.